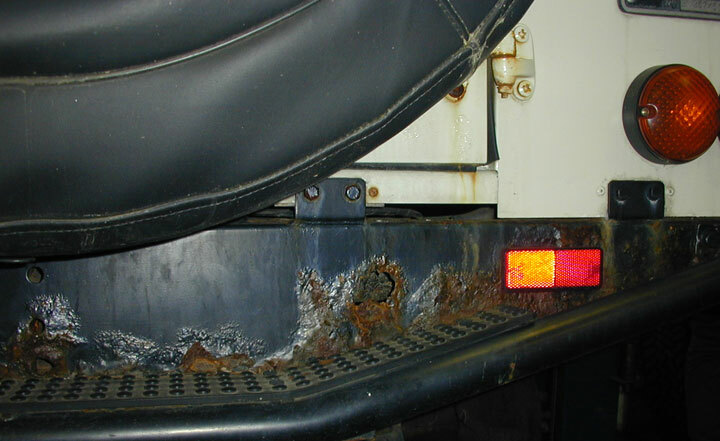 Most of the body work on a Land Rover is corrosion resistant aluminum; however the firewall is made from steel as such vulnerable to rusting. 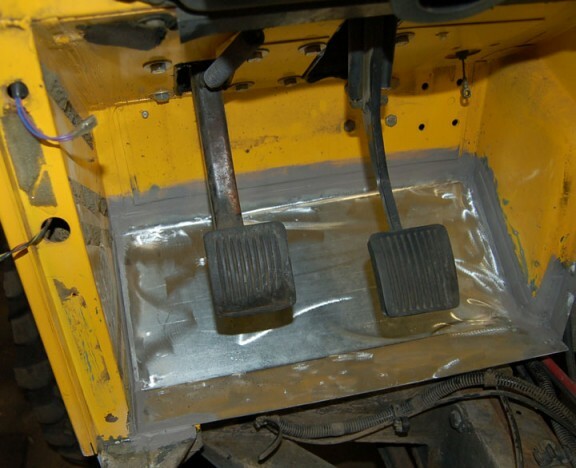 The firewall forms a barrier between the engine compartment and the passenger compartment as well as the mounting point for dashboard, pedals, windshield and brake booster. 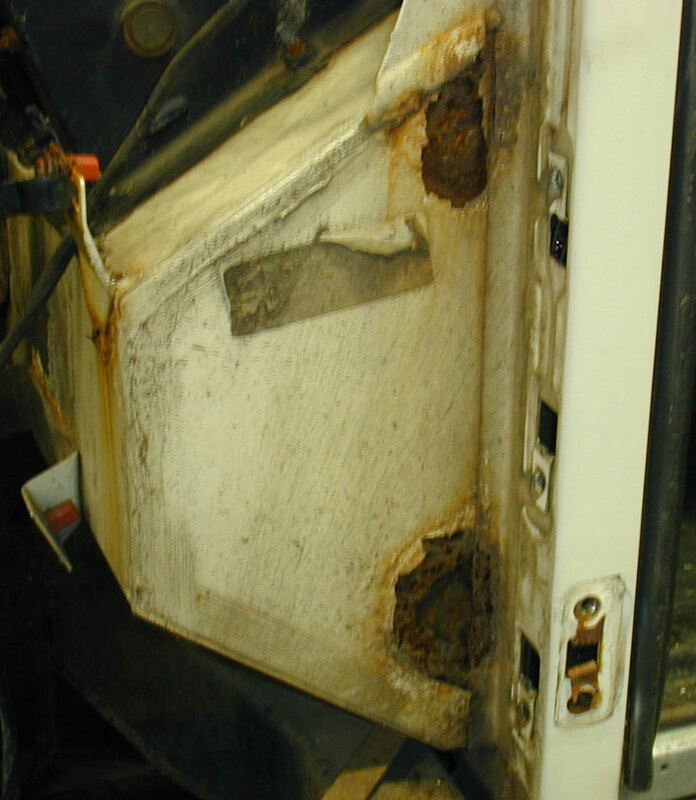 While not as visible as hinges or a frame cross member, the Firewall is a common area for corrosion. 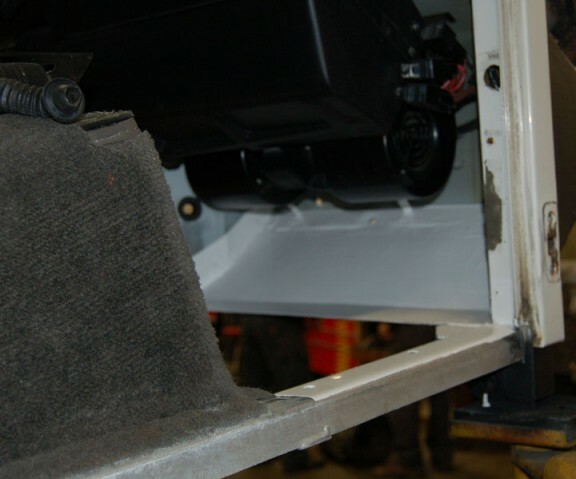 Corrosion in the toe boxes of defenders is very common. It is possible to make a good repair that will often outlast the rest of the firewall. 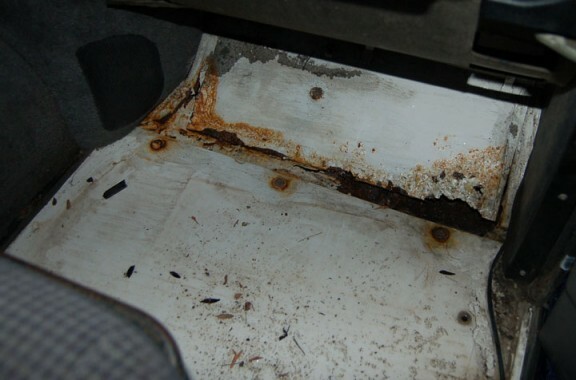 Unfortunately if the floor boards are rusty, rust has probably started internally in the door posts and the upper corners where the windscreen mounts. The different layers of steel that make up the floor might be good for the initial manufacturing process and cost savings, but trap moisture and dirt that accelerates corrosion. Here you can see the repair panel we made. 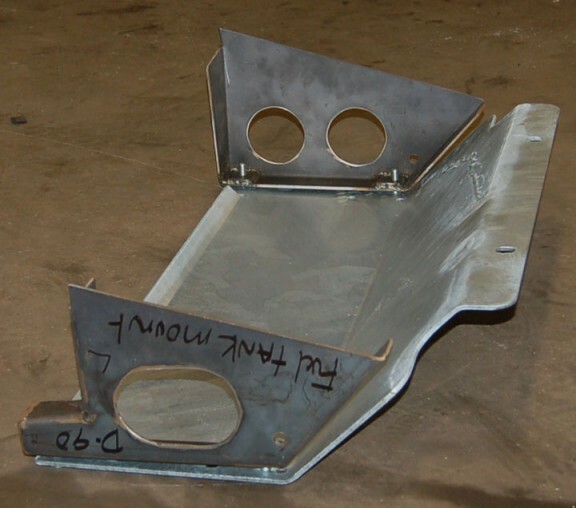 It is fabricated from 16 gauge galvanized steel in one single layer. Once welded in it is seam sealed. Seam sealing is absolutely critical to keeping the moisture out of a weld or seam. After seam sealing the panel is repainted and undercoated. We also use Waxoyle on the internal cavities like the door posts. This will help slow down any rust that is starting to occur internally. 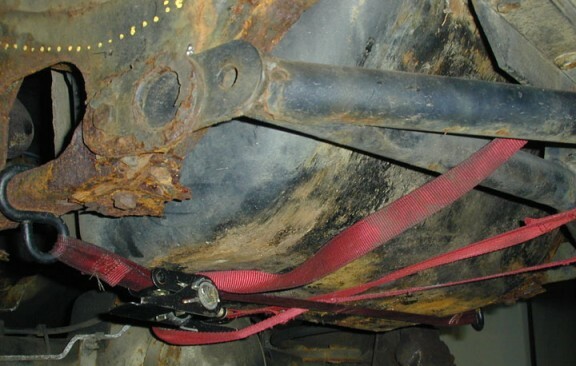 Typically the first part of the frame on a Land Rover Defender to suffer from rust is the rear cross member. 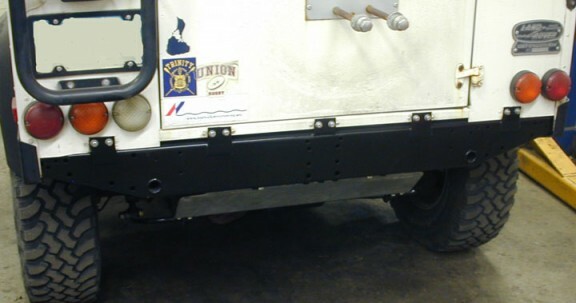 This portion of the frame is highly visible from the rear of the vehicle; it also serves as the attachment point for recover points and receiver hitch. 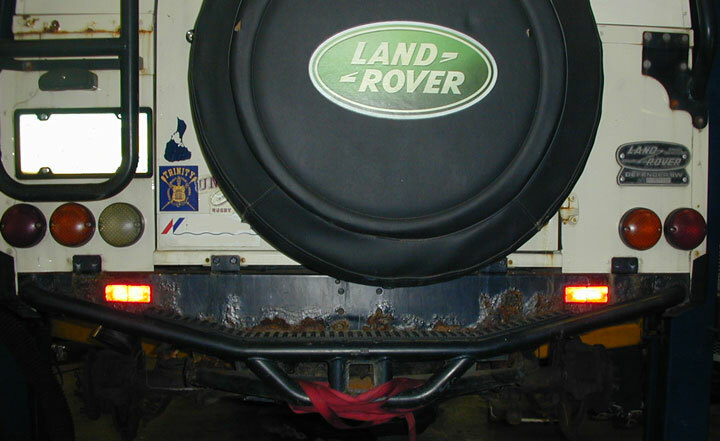 In the UK it is common for a Defender to have its Rear Cross Member replaced once or twice before the entire frame is replaced. 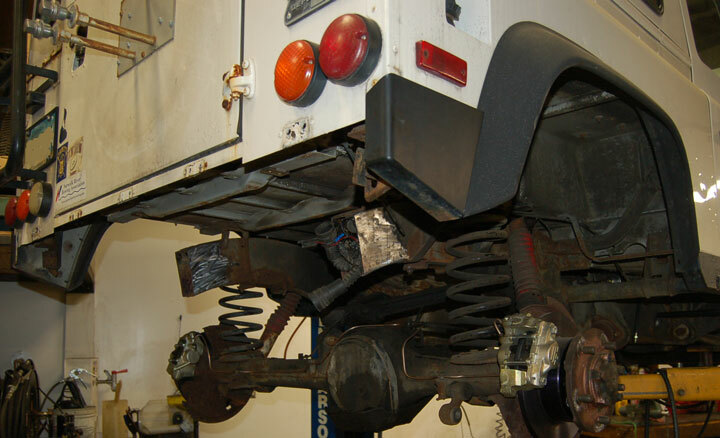 We offer this service to our customers with vehicles that don’t need an entire frame or to reduce repair costs. If the rust is just surface rust, sandblasting and painting can save the cross member for a considerable amount of time. Here you can see a cross member that is at the stage of needing replacement. Firstly the rest of the chasis is checked to make sure the repair is not a waste of resources. This cross member needs to replaced with chassis extensions to the rear spring perches & the fuel tank cradle. The frame is cut back to solid metal. 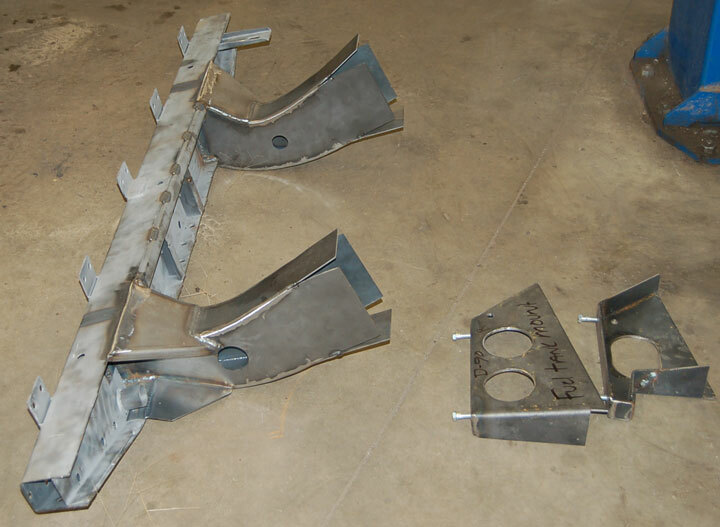 We purchase a rear cross member and manufacture our own chasis extensions and fuel tank cradle. We use a galvanized heavy duty single piece fuel tank skid plate because the stock fuel tank skid plate has many seams and different layers of steel that it is corrosion problem. 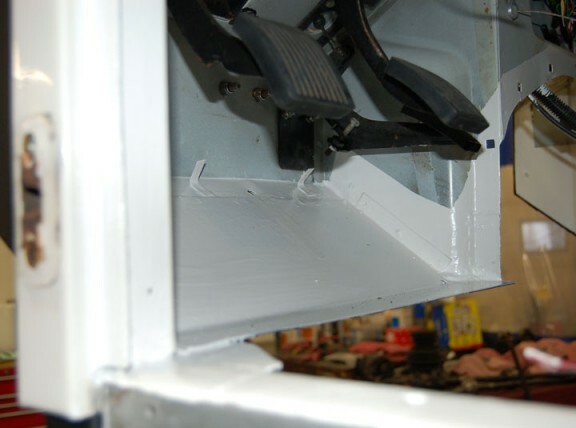 Once welded in the paint and undercoating is applied to the cross member and fuel tank cradle.